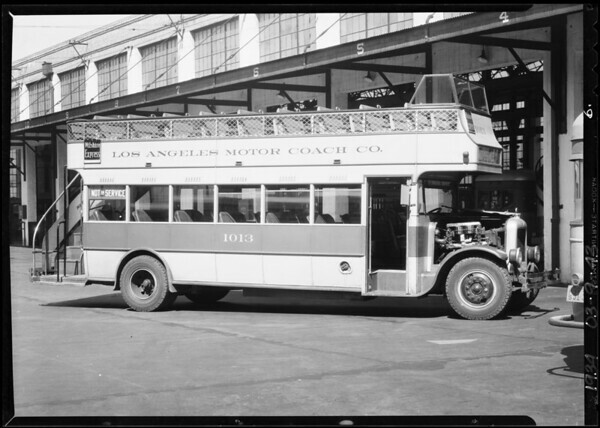 7 photographs of automobile parts and motor coach, Southern California, 1934. "Subject: Gas Eliminators installed in L.C. railway coach etc.